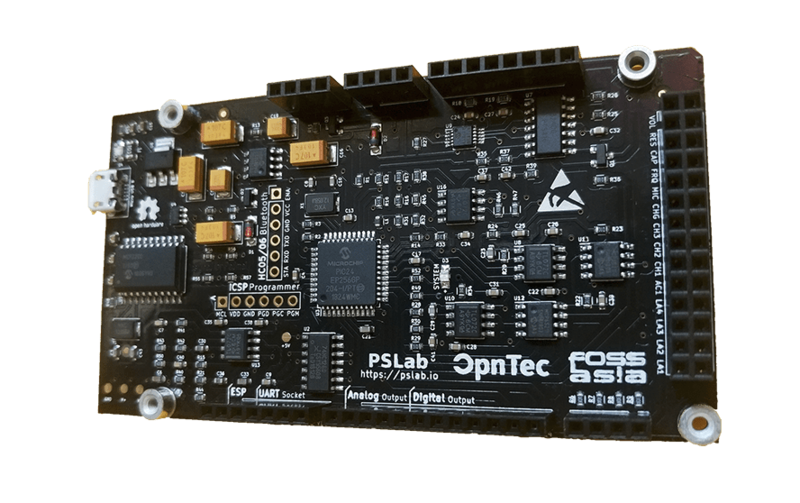 2 channel DSO with 100 MHz bandwidth, 1 GSa/s sample rate, 40 MSa memory depth and VGA interface and 20.3 cm touchdisplay with a resolution of 800 x 600 pixel. 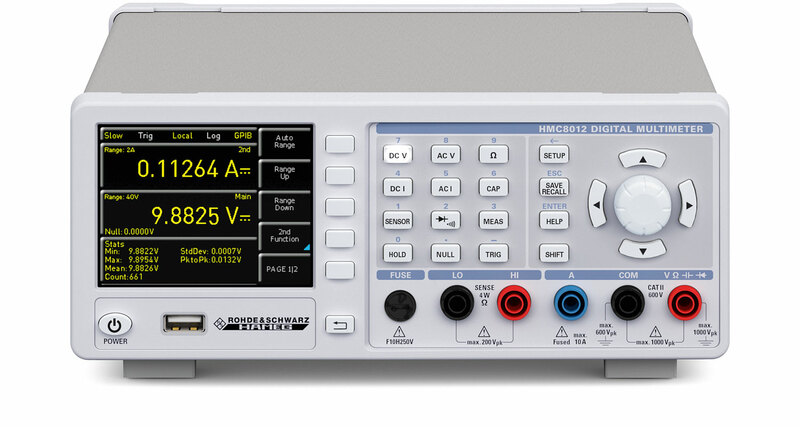 The new XDS n-in-1 digital storage oscilloscop of Owon offers reliably measurement technology for a really good price. The colorful 8″ (20.3 cm) TFT LCD panel with the resolution of 800 × 600 allows an excellent readability of the wave, especially in regards to high data volume or many waves covered reciprocally. The special features of the XDS series are a multitouch surface (from the XDS3102A) and a high vertical resolution up to 14 bits. 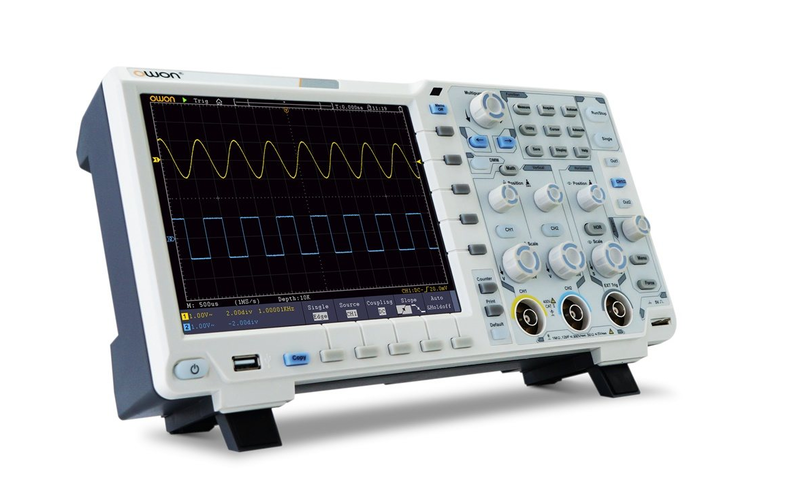 The -plus variants are equipped with a 3¾ digit multimeter and a 25 – 50 MHz waveform generator. 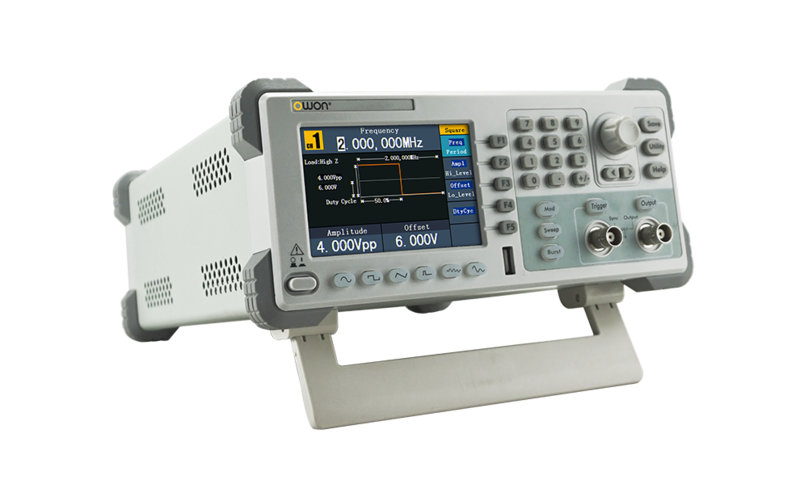 The XDS series offers a bandwidth of 60 – 300 MHz, a sample rate of 1 – 2 GSa/s in dual channel and a memory depth of 40 MSa per channel. Delivery including 2 probes, multimeter probes (optional) a USB cable, PC software, a power adapter and a user manual. The Owon XDS3102 is for sale for ~500€ (excluding VAT), from various distributors online.